Flat TV screens are the modern day television sets. These have thin body frames, unlike the box-typed CRTs. There are three types of flat-screen televisions. 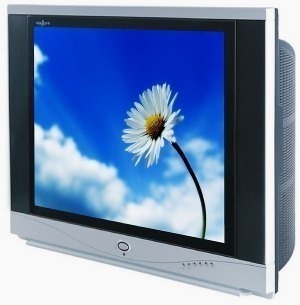 LCD TVs, Plasma TVs and LED TVs work differently from the traditional Cathode Ray Tube (CRT) TVs. Unlike CRT TVs, flat-screen TVs do not use an electron beam running back and forth behind the screen to produce a picture. An LCD TV and a plasma TV use the same technology of switching millions of tiny picture elements called pixels on and off to produce a moving picture. Each of these pixels is colored red, green, or blue, depending on the light that falls on them. 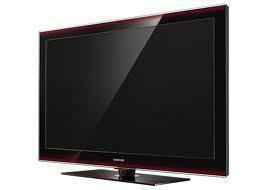 The main difference between an LCD TV and a plasma TV is how their pixels are switched on and off. In an LCD TV, a colored picture is produced because the pixels use liquid crystals that rotate polarized light. In a plasma TV, the pixels are microscopic fluorescent lights electronically turned on and off. LED TVs are quite similar to LCD TVs but differ in a way that its back-light function is provided from around the edge of the screen using LED technology. LED technology allow the manufacturers to develop thinner screens compared to LCD TVs and Plasma TVs. At the back of the LCD TV is a large bright light that is turned on when the TV is switched on. In front of the light are millions of pixels that are further separated into sub-pixels. Each sub-pixel is colored red, green, or blue. Each pixel is composed of a tiny liquid crystal placed between two glass polarizing filters. When the light at the back of the LCD TV is turned on, the liquid crystals in each pixel are also switched on. These crystals rotate to permit some of the rays of light to pass through the polarizing filters. Depending on which sub-pixels the light touches, the pixel lights up and produces a certain color. Without the rotating liquid crystals, no picture will be produced because the polarizing filters block out all the light passing through the pixels. A pixel has its own separate transistor. This transistor switches the pixel on and off as many times as needed every second. For more information on LCD televisions, read How does an LCD TV work?. A plasma TV is made up of two sheets of glass. Between these two sheets of glass are millions of pixels filled with two kinds of gas, namely neon and xenon. Each pixel is coated with a chemical called phosphor. This chemical is what makes the pixels red, green, or blue. When the plasma TV is electronically turned on, the electricity causes the colored phosphors to produce light. This in turn paints the moving pictures on the screen. For more information on plasma televisions, read How a Plasma TV Works. Like said earlier, a LED TV is an enhanced and improved version of a LCD TV. LED TVs have slimmer and thinner body panel. The back-light intensity and brightness is much more. Pixel clarity is fine and clear. The baseline functioning of LED is that it illuminates the LCD panels by using LED technology. Light Emitting Diodes are small electrical components of semiconductor. They emit bright light when current is passed through them. This current is specifically passed from one LED anode to another. These anodes are positively charged electrodes and negatively charged cathodes. LED TVs consume a lot lesser amount of energy giving much more brighter display compared to LCD and Plasma. 282 queries in 0.484 seconds.